Everywhere you turn today there’s an app for this and an app for that; we see them all! Yet with all the technology available, “There is no app for what we do.”™ – and there never will be! Corridor Communications is proud to announce that we are a founding partner of a dynamic strategic marketing alliance, Group A2Z. It’s easy to think there must be an app to reach our marketing goals. But without human experience, apps are just more tools in an already fragmented communications world. Group A2Z creates order out of that chaos. 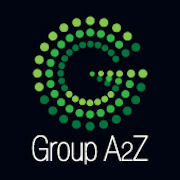 Group A2Z is a strategic marketing alliance of three companies that delivers an unique suite of integrated Marketing, Design and Public Relations services from “A to Z.” Based on accountability and personal expertise, our strategies are known for connecting with customers across print and digital media. We bring an innovative, nonbiased approach to developing strategy, design, and communication solutions that generate impact and produce results. We know what to say, the right tools to use. Our alliance blends marketing mastery with contemporary resources and emerging trends to create relevant and realistic solutions. Group A2Z lends leadership to a dynamic network of creative talent and technology associates specifically vetted and tested to our standards, providing fresh ideas without the high overhead. Combined with the wisdom and experience usually found at larger agencies, Group A2Z delivers an extraordinary value to our clients. We are personal, not virtual.